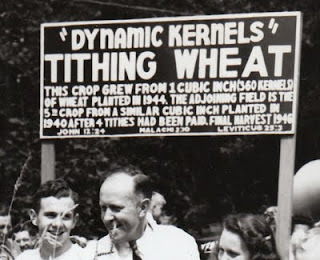 Perry Hayden planted a cubic inch of wheat and donated 10% of the harvest to the church and replanted the remainder. He continued this for the following 6 years, resting on the 7th. The amount of land needed for the final crop exceeded 2600 acres. 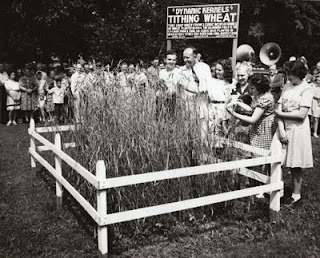 Henry Ford donated much of the necessary land as did many local farmers. The project received much attention including a feature in Life magazine on July 24th 1944.